St. Helens, located 30 miles north of Portland on the west bank of the Columbia river, is geologically unique. The City sits on a shallow bedrock of basalt, and thus has low ground infiltration rates and shallow infrastructure. These geologic and infrastructure characteristics left the City prone to sewer overflows during major storm events. 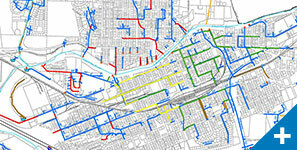 In the early 2000s, the Department of Environmental Quality mandated the City pass a five-year, 24-hour winter flow event, and a 10-year, 24-hour summer flow event without sanitary sewer overflows. 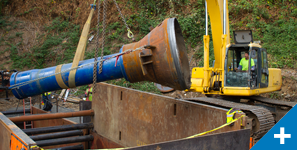 To meet this mandate, the City developed an Inflow & Infiltration (I&I) Abatement Program, designed to be a holistic approach to addressing deficiencies in both private sewer laterals and the public sanitary and storm sewer infrastructure. 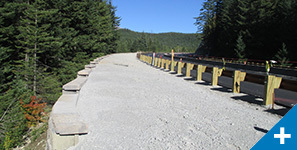 Murraysmith was hired to assist with the $10 million rehabilitation program, which included over 12 miles of pipe rehabilitation and installation ranging in diameter from 6 inches to 36 inches. 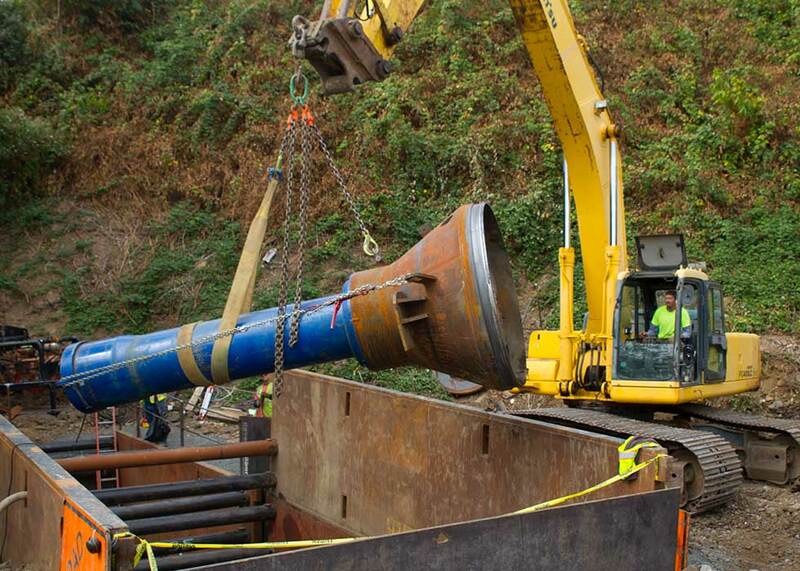 In addition to a 66-inch diameter pipe ram in Godfrey Park, a variety of installation techniques were used, including open trench, cured-in-place pipe, pipe bursting, and slip lining. After completion of Phases 1 and 2, the City achieved an 80 percent reduction in pumped sewage volumes. 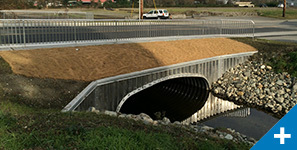 Phase 3 addressed the subsequent capacity issues in the downstream storm sewer. 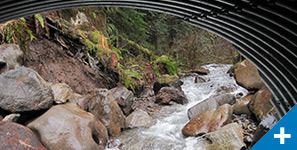 And when the system was put to the test in 2016, with the wettest February in Oregon in over 17 years, there were no stormwater overflows upstream. 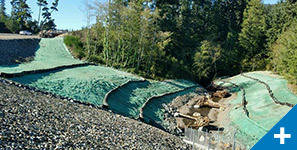 Due to this success in reducing I&amp;I, the City will not need to implement Phase 4.